Yoga offers a path of peace and self-healing! Once you realize that war is not in your surroundings –the real war is within– you will also realize that change is possible. You cannot change the outside world, but finding peace of mind is in your control with Kundalini Yoga Retreat Sweden! Do you have a desire to learn self-healing: To become more balanced in your personal life and your emotional responses; more focused and efficient in your work; less prone to stress, anger and frustrations: and do you have a desire to find more love and compassion for yourself and the world around you? If you can answer yes to any of these questions, our self-healing meditation retreat in Sweden is for you. We cannot promise you peace of mind. But we can empower you to find your way to peace of mind by teaching you yoga techniques. Take this precious time out of your life and immerse yourself in retreats where you will learn how to heal your body, mind and soul in peaceful rural country side Skaane in Sweden. The retreat is held close to Sweden’s Southernmost point and pristine beaches with white sand, dunes and plenty of options of swimming and quite meditation. This retreat is for people who want to take a break from stressful lives and adopt a more peaceful, balanced and harmonious lifestyle. Modern hectic with carrer, family and house building drains your prana and intoxicates your body with stress hormones that are the basic cause of anxieties, depression and disease. Chasing life goals you receive undesirable by-products like dissatisfaction, imbalance and disharmony. Every negative thought imprints itself on your body and mind. We help you to remove negative blockages, mental as well as physical, through asanas, pranayamas, kriyas and meditation. A retreat at Vishuddhi offers a chance of taking a complete break from your everyday routine, connecting with yourself, recharging your energy channels and finding inner peace and harmony. 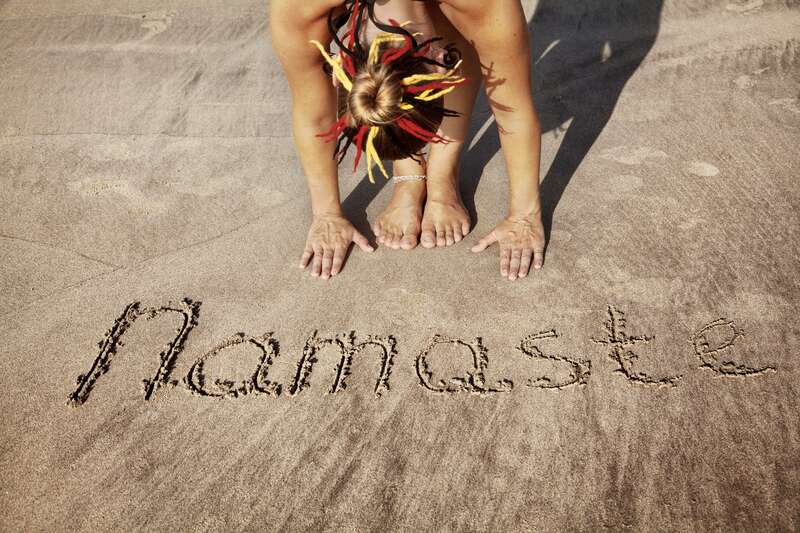 Our retreats offer an excellent way to begin or deepen your yoga lifestyle. It may change your life if you pursue your new knowledge back home. All our retreats are based on Auyrvedic Yogi principals and participants will help with the cooking in order to learn how to prepare a healthy diet based on Ayurvedic principles. Your retreat teacher, “Shivani” is an experienced yoga teacher who has practiced yoga for 7 years and has taught Yoga in internationally certified teacher trainings for 3 years in India. Most importantly she teaches with love and compassion. Your teacher is certified in Hatha, Yin and Kundalini Yoga. We at Vishuddhi would love having you here in Skaane to share the beauty of the spiritual world of Yoga!!! Stress Relief Yoga Detox Retreat: Cleanse your Body, Mind and Spirit from accumulated stress! Are you seeking a holistic lifestyle with physical wellbeing, calmness and peace of mind? During this retreat you will learn a holistic approach of how to relax, rejuvenate and cleanse yourself with Hatha, Yin and Kriya yoga and Ayurvedic food! If you seriously enmesh yourself into this 8- day retreat you will learn how to achieve a healthy state of relaxation so that your body regains its natural capacity of self-healing; physically, emotionally and spiritually. You will experience a sense of wellbeing and stress-relief. Your body remembers stress and emotional traumas. In this retreat you will work on resetting your mental and physical hard disk, filled by your past negative memories of stress, burnouts and relationship conflicts. Do you attempt to solve your problems by working harder and trying harder, but the harder you try the less you accomplish? We teach you a holistic yogic path to rebalancing your life. Instead of working on ‘outward engineering’ we teach you how to balance your life through ‘inner engineering’: how to restore your energy flow, how to cope with emotional turbulence and how enhance of your inner beauty through Ayurvedic food and remedies. 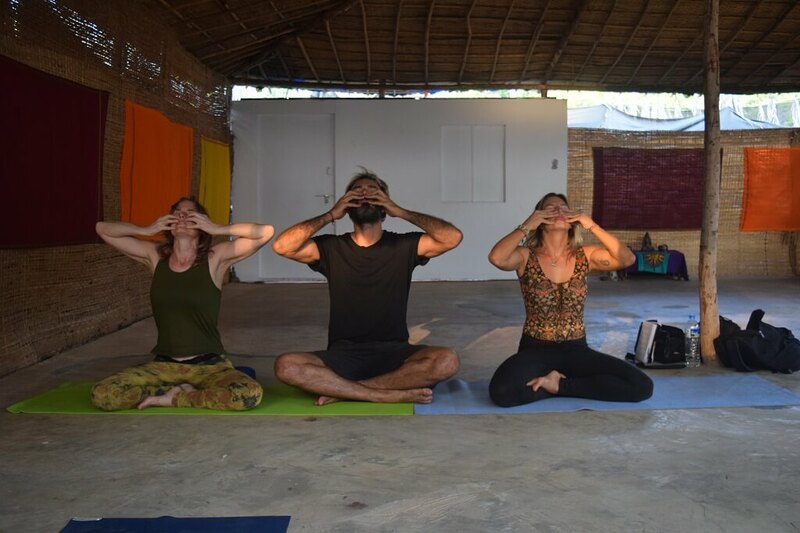 During the retreat you will learn how to use pranayamas (breathing practices) to restore your energy flow, how to use slow paced mindful yoga to experience physical wellbeing and enhance beauty and how to restore the balance of body and mind through relaxation and meditation. You will additionally learn how to cleanse your body by preparing an Ayurvedic fluid detox diet based on juices and soups without artificial additives. Together this will help you on your path towards a relaxed lifestyle, exchanging burnouts, anger and frustrations with peace of mind. Have you recently experienced a period of work stress or burnout, unfulfilled life expectations, relationship conflicts or excess pressure from family or carrier building? Do you feel you are caught in a vicious circle of stress and overload? Every negative thought leaves a negative imprint on your body, which over time carries negative side effects such as physical pain, high blood pressure, unhealthy eating patterns and negative self-images. These are warning signs that your body and mind is overloaded and you are becoming prone to diseases such as heart problems, back injuries, arthritis and even cancer. Western medicine has little to offer other than eliminating the side effects of excess stress because doctors’ only acknowledge causes in your physical body. In order to heal we need to apply the wisdom of 2000 years ancient knowledge from the East. Cure physical imbalances with Hatha Yoga. Rebalance your meridians and cure tension in your tissues, joints and organs and cells with Yin Yoga. Restore the energy flow in your chakras with pranaymas and kriyas. Release emotional pressure and traumas from your mind (stress, anger, sadness and frustrations) through kriyas, meditation and yoga nidra (sleep yoga). Cleanse your body with a fluid Auyrvedic diet and remidies. 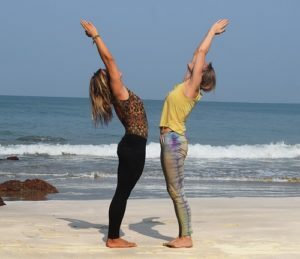 Both experienced yoga practitioners and beginners will benefit from this retreat. Each student will be given individual attention. Whereas beginners will be instructed how to apply a wall, bolsters, straps and blocks, advanced students will be instructed how adopt more difficult variants. Feel like being caught in a vicious loop? Change is in your control! (Note: Programme is tentative and changes may occur). 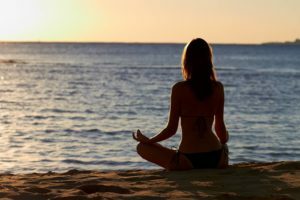 Evening: Self-meditation, groups meditation, walks on the beach or in nature. If you wish to become a better version of yourself and desire to lead a more fulfilling, compassionate and peaceful life the path of kundalini yoga is for you! Do you sometimes feel like you are caught in a viscous circles where life situations, worries and problems keep repeating themselves? Do you try to solve your problems by fixing the outside world while forgetting that before you can fix the outside world you need to fix yourself from the inside? Instead of attempting at ‘outer engineering’, we teach you how to solve the root cause of your problems by teaching you ‘inner engineering’. You cannot change the outside world but if you heal yourself from the inside the rest of the world will fall into place. There is nothing magical about raising your kundalini. With regular practice anyone can experience kundalini awakening. It is unlikely to happen during a short retreat. What you are likely to experience is a feeling of being more relaxed, harmonious and balanced if you immerse yourself deeply into the retreat with an open and true heart. If you practice kundalini yoga regularly the quality of your life and your inner contentment will definitely improve. And with time, if you practice consistently, you are likely to experience the magic of kundalini awakening. The Kundalini is untapped energy at the base of the spine that can be awakened and raised up through each of the seven chakras from Mooladhara to Sahasrara. 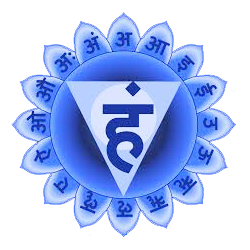 Full enlightenment occurs when this energy reaches the crown chakra (Sahasrara) above the head. At Vishuddhi Kundalini Kriya yoga refers to a meditational practice unlike its physical variant often practiced in the West (eg. Bajan yoga). We awaken the energy of consciousness in a way that invites you to think creatively out of the box and develop your intuitive mind. This method of Kundalini works the strongest for your personal transformation. By gradually and safely awakening and employing the power of Shakti, you will benefit greatly from an elevation in consciousness, higher physical well-being and an expansion of awareness. With serious and dedicated practice you may activate new areas of your brain, improve your performance in all areas of your life and become a more loving and compassionate person towards yourself and others. Each Kundalini and Yoga Asana series is conducted with a specific breathing technique that intensifies the effects of the poses with the purpose of freeing energy in the lower body and allowing it to move upwards. The main work of the retreat is called a Kriya, which combines an asana pose with a pranayama for moving consciousness within chakras, mudras and locks, focusing on precise energy centres of the body. Our Kundalini Yoga class begins with a short chant followed by a warm-up to stretch the spine and improve flexibility. The day ends with a meditation or Yoga Nidra and a closing chant. Eligibility: Any Yoga aspirant who’s interested to explore more about Kundalini Yoga or a have a desire for personal transformation. If you come from the Yogi Bajan school you are equally invited if you wish to learn different techniques with an open mind and heart. There is nothing magical about kundalini awakening – but its effect may be! 12.00 – 12.45 What is kundalini yoga and how do the chakras (energy centers) affect and control our lives? We request you to write an email with all your queries to extract more detailed and specific information for any retreat programme you are interested in. We would love to answer all your queries.